On the reservation, starting a business is a hustle. Entrepreneurs are so busy getting their new businesses off the ground, they often don’t pay a lot of attention to branding or marketing. Why not? For one thing, it’s expensive, and it can seem like a low priority, especially in the early days, when every dollar you earn must be invested back in the business to stay afloat. And, depending where you live, it might be easier to find a shepherd or a silversmith than a graphic designer or a web designer ready to create a logo for your business and set up shop online. But branding is important. It tells the story of your business, what your business represents, and who you are as a business owner. It’s also how your customer recognizes you, remembers you, and, if all goes well, recommends you to others. At the Grand Canyon Trust's Native American Business Incubator Network (NABIN), we believe building your brand is key to your business success. What do you want your business to be? Who’s your customer? Why should they choose you over your competition? To help business owners answer these questions, we started Create and Elevate. Now in its third year, Create and Elevate trains business owners in branding through hands-on workshops, and then pairs them with Native artists and graphic designers to do the hard work of identifying core business values and hone in on how to communicate them visually. At the end of three days, business owners walk away with a logo and other assets, like business cards, and website layouts, ready to build their brand and strengthen the Native economy. At Create and Elevate, we offer entrepreneurs workshops on content marketing, pricing and revenue models, and brand development to boost your business, but we don’t stop there. We recognize that running a successful business on the reservation is different from other markets. We offer specialized trainings that Native entrepreneurs will be hard-pressed to find elsewhere, like how to use the Navajo clan system to identify your brand. At NABIN, we believe Native American businesses are key to the economic development of our sovereign tribal nations and branding them in a way that respects and builds upon our cultural identities as Native people is vital. It’s no accident that when artists and designers put their heads together at Create and Elevate, the design elements that appear in the logos they work together to create incorporate many symbols of our culture and history, including corn, traditional weaving designs, and clan symbols. Who’s branding a business in 2018? 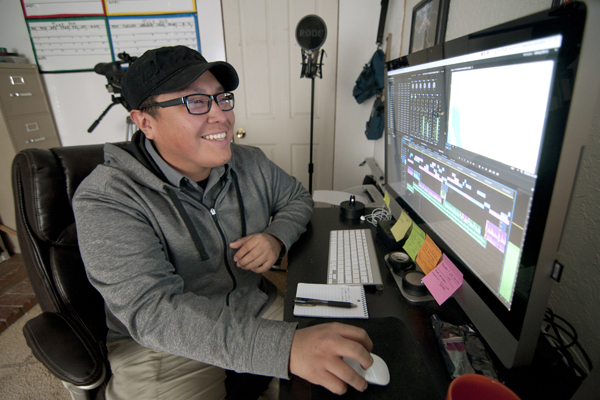 In 2018, designers at Create and Elevate kicked off the process of producing logos and other branding assets for 10 new businesses from Carlos Deal’s AlterNativEats, a vegetarian-sushi catering business in Tuba City, on the Navajo Nation, to Rezcycling, the brainchild of Jack Pongyesva and his sister, Georgiana, which aims to bring large-scale community recycling to the Hopi reservation for the first time.